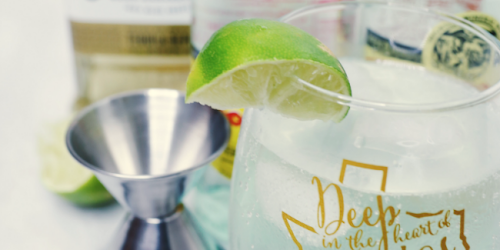 This post is sponsored by V8®, but the content and opinions expressed here are my own. "What got you into campin'?" "I'd go campin', but I don't know where to start?" "I'd go campin' if I could go with you." More times than not those are the top comments I get whenever I share my outdoor and Girl Scout campin', backin' adventures. I often chuckle; growin' up I didn't realize that my experience spent outside in nature wasn't as common as I thought for young girls. As an adult, I've become passionate about showin' young girls that nature can be for them as well. I remember a trip to the Florida Everglades Kayakin' with the Sea Lions. It was the most terrifyin' experience of my life, and I'd never do it again, but I'm a firm believer that every kid should have opportunities like that at least once. Fast forward a few days ago, and I had the opportunity to take a few local scouts on an overnight Skills Day on Lake Texoma. 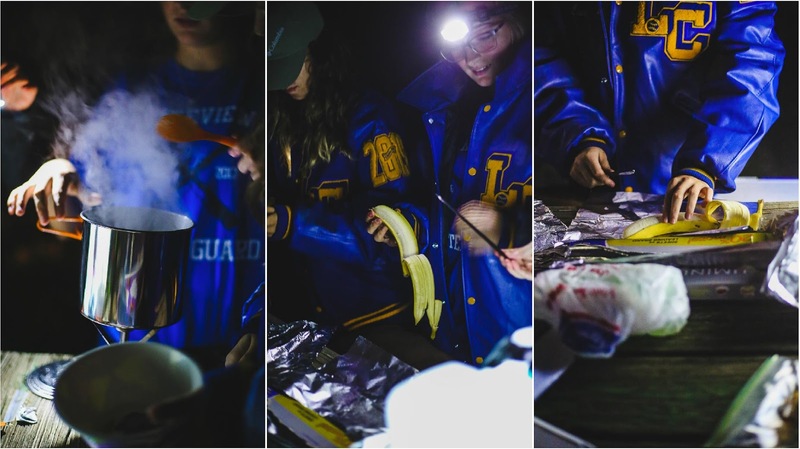 Skill Day: where they learned basic skills like scoping out a campsite, pitching tents, outdoor first aid, camp cooking, refuelin' your body and more. Ready to get into the outdoors? Ready to take your Scouts on their first outdoor overnight but don't know where to start? 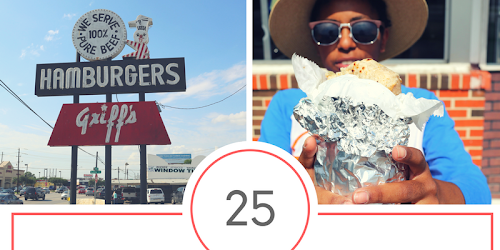 I give Y'all the recap, aka; How to host an outdoor Skills Day. Skills Day is traditionally an event done to prepare Scouts for outdoor adventures such as backpacking or other higher adventure activities. Our local Girl Scouts is preparin' for a mini backpackin' trip in the spring, and I am still trainin' to hike The Lone Star Trail. 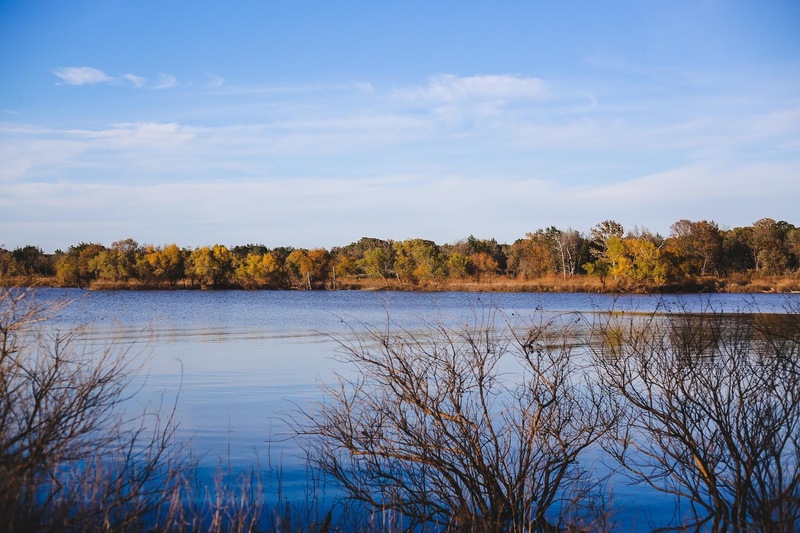 At 92 miles it is the longest footpath in Texas. So, this mini overnight campin' trip on Lake Texoma was the perfect settin' to hone our skills. The day started as we arrived at camp and I showed the girls how to scope out camp. - How to look for high ground. -How to check for safe water. -How to choose a safe area for cookin'. On this Skills Day, we had the privilege of usin' a Scout facility, so we had the comfort of knowin' that we were safe on the campin' trip. The girls started the day by walking around the camp to see the hazards that were around and where it would be safe to pitch camp. They ended up chosin' a spot in the middle of the property that was closest to a fire circle that needed the least work to be cleaned up and deemed safe for a campfire. We used the walkin' around camp as a chance to practice usin' a compass for directions on hikes. 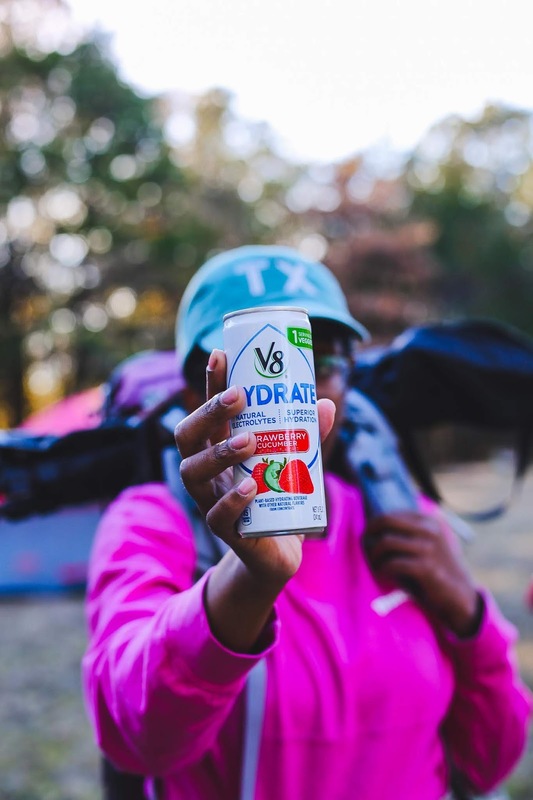 Once camp had been made, and the hikin' finished the girls found themselves needin' rest refuel, and this became the perfect opportunity to talk about some of my favorite snacks and beverages such as trail mix and new V8 +HYDRATE®. 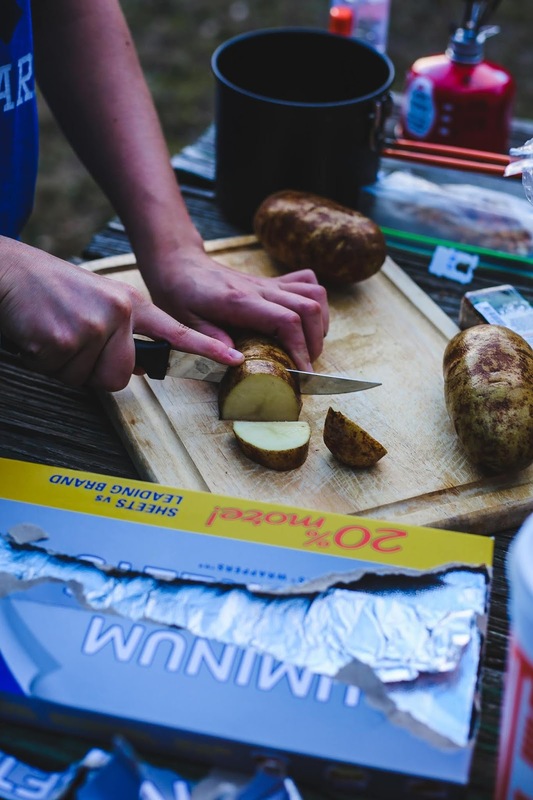 We use a small bench and table we found to learn about healthy snacks and drinks that can be taken on campin' trips to not only help you recover but also hydrate. Once we made a trail mix, I pulled out V8 +HYDRATE beverages and we drank up. 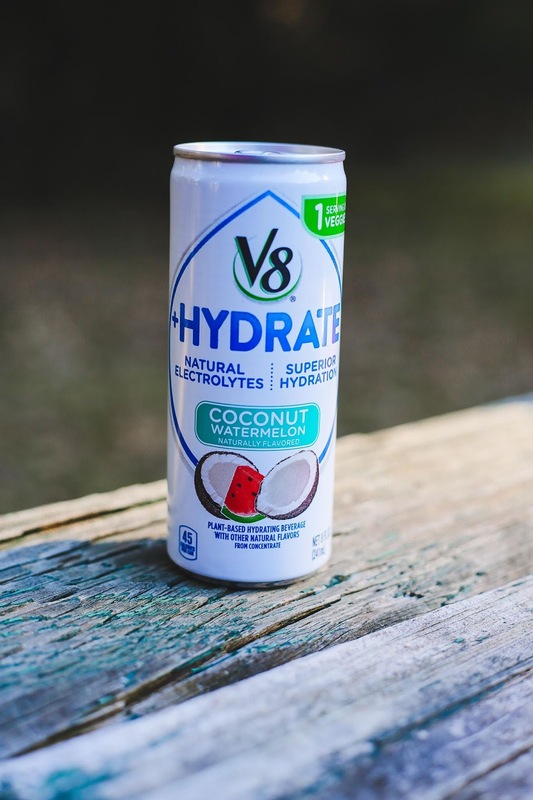 V8 +HYDRATE taps into the naturally-occurring electrolytes and glucose of vegetables and blends it with water—creating an isotonic beverage that quickly replenishes fluids and nutrients. Strawberry Cucumber had a glowin' review, but that review was followed closely by Coconut Watermelon and Orange Grapefruit bein' deemed delicious. Once snacks and the mini nutrition lesson finished my Mom, a certified Cpr, and First Aid training facilitator helped the scouts earn their First Aid badge. A refresher is always welcome, and I did my best to pay attention and practice wound care and bandage application in between my many shivers from the cold air and picture snappin'. We lounged around camp before settin' dinner. Much of the rest of the night included me proudly watchin' and sippin' my V8 +HYDRATE while the girls worked on makin' a campfire so that we could make foil packs. 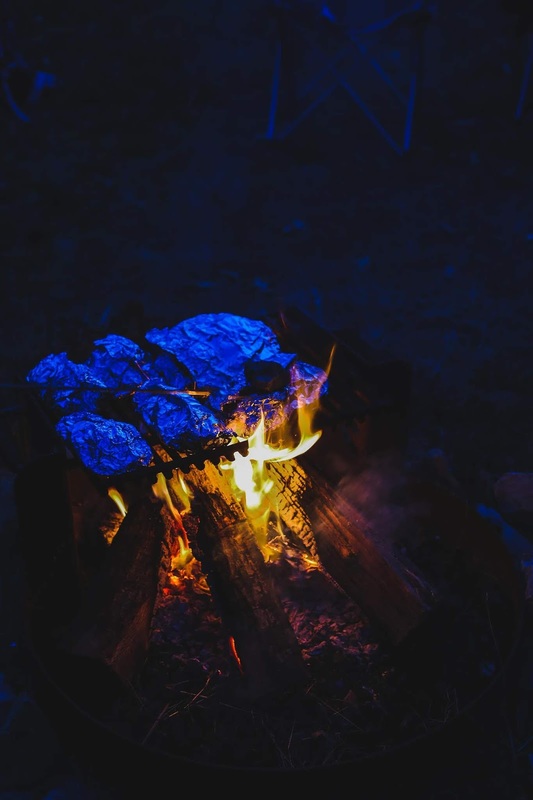 Foil packs are a staple of my campin' growin' up, and it was fun to introduce the scouts to them. 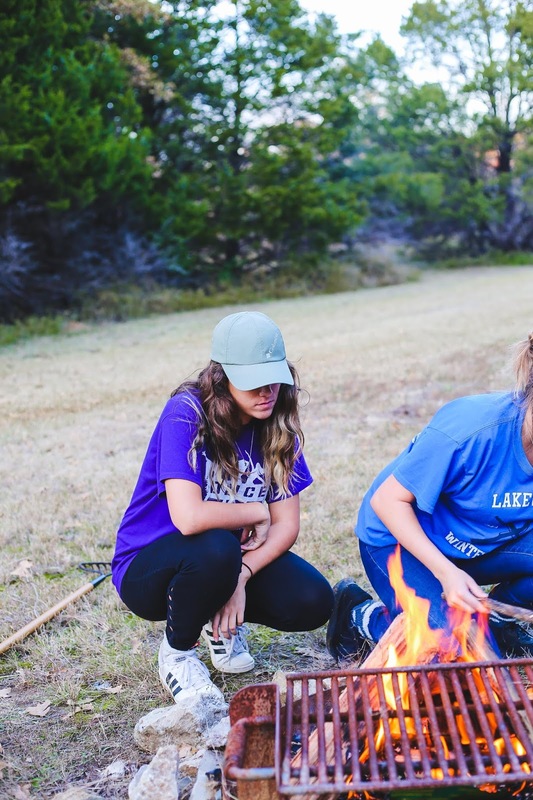 Once the meals got on the campfire, I pulled out the backpackin' stoves and showed the girls how I make my infamous quinoa stew using minimal ingredients I can carry on my back on a backpackin' trip. I was probably more impressed with myself then they were. The night finished with S'mores as we kept warm by the fire and listened to the coyotes provide a loud lullaby. 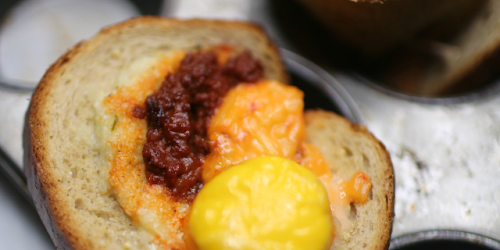 What is the one thing you always bring with you on a campout? 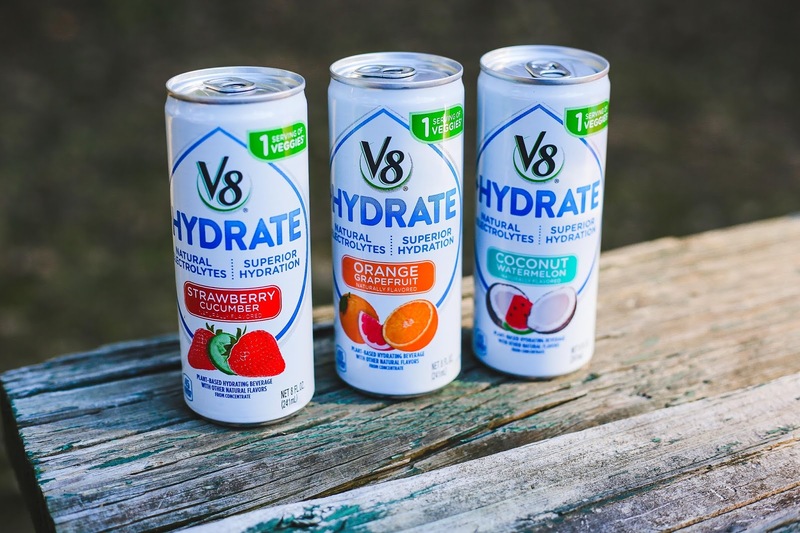 Might I suggest the new V8 +HYDRATE on your next trip?